It's been on my mind a lot. Last year was rough. My hopes are to have enough food to preserve for some of those lean months. There are lots of different ways to preserve food: salting, drying, freezing, canning, root cellar storing, and fermenting. We don't have fish so we'll skip salting. And we have to preserve what nature gives us. This year, strawberries are a crop failure so no dried strawberries, jam, or wine. 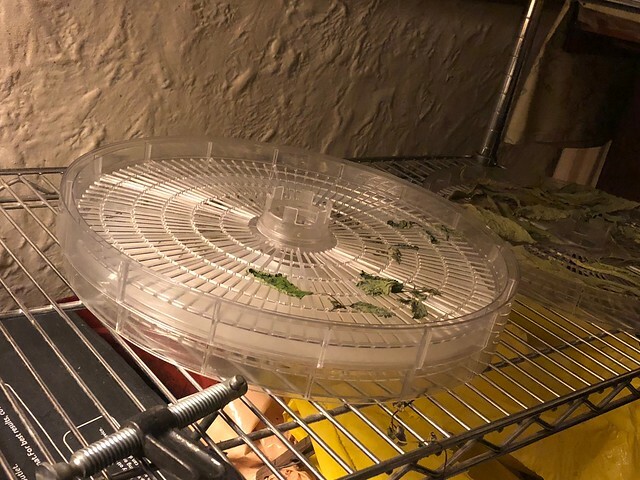 But if you have a surplus, look up Alton Brown's Good Eats for dehydrating them. They store really well this way. You can powder them and add that to fresh homemade whip cream to top off your favorite dessert. Many things are ready for preserving or will be very shortly. To prepare, I went through the cupboard and took inventory. 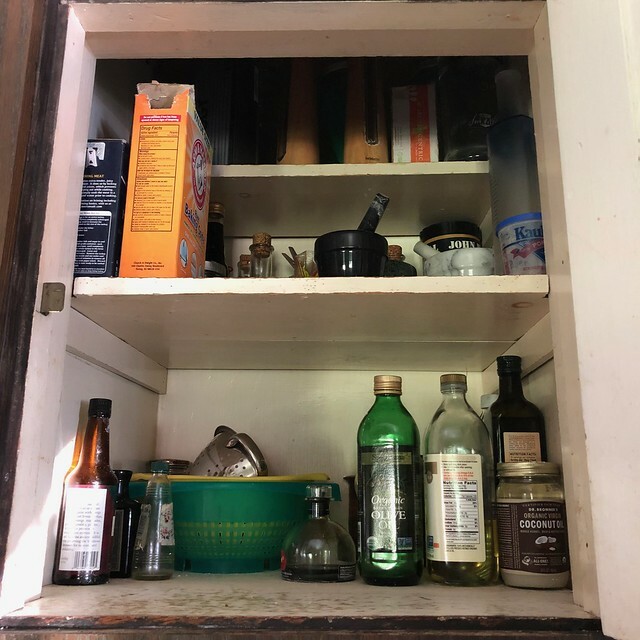 I removed all the glass jars so I could see what I had in the pantry and what I am out of. I made a shopping list for bulk items like honey, salt, oil, vinegar, and sugar which I'll need for preserving. Boy, it sure looks empty. I also noted what herbs need to be restocked. Then I went down to the basement to survey my jars. I separated real Mason jars from the repurposed store jars that were not designed for canning. I will use the store jars for dried produce. They won't go through temperature swings of the canning bath. There are only 15 store jars, mostly from coconut oil. 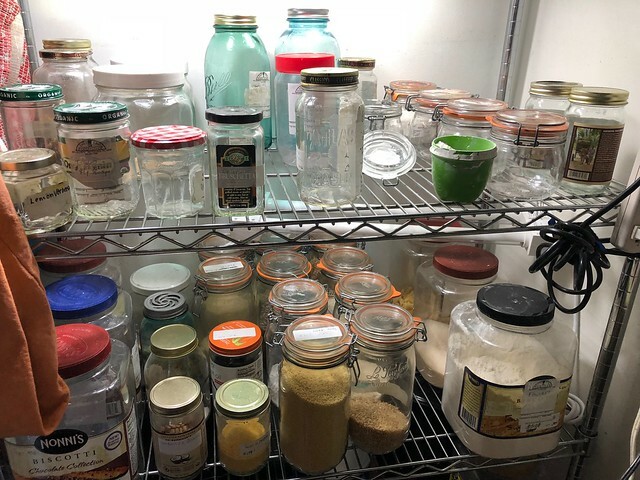 I was surprised to find that I have 55 pint-sized Mason jars, a small handful of half-pints, and no quart-sized jars at all. Bummer. 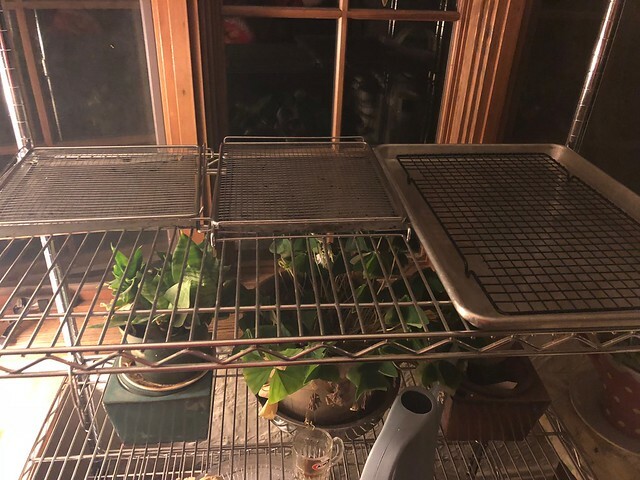 Next I pulled trays for drying herbs. It's really wet and humid this year so not sure how well that will work. I hope to pick sage for drying this week. 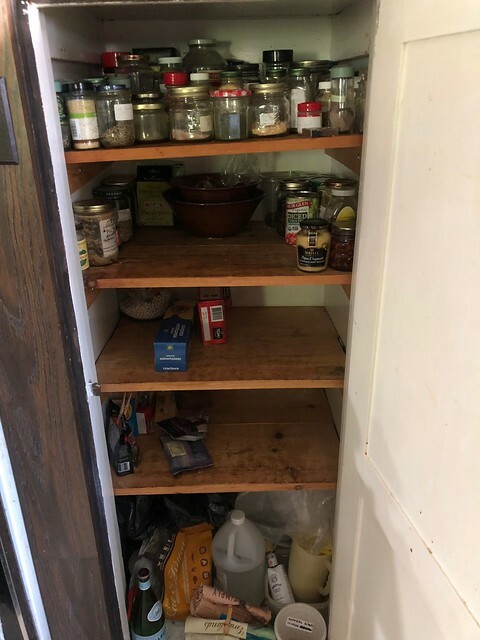 The pantry is completely out. I also got a lemon verbena plant this year. The more you pick, the more they grow. I will want verbana as a tea over the winter. Parsley and basil will get chopped and frozen into cubes in an ice cube tray. Then, they'll get popped out and stored in a labelled zip-loc in the freezer. Time to start harvesting! The dehydrator bit the dust but the trays are still good. I also have metal ones that will fit in the solar oven. We are still harvesting rhubarb. My favorite thing to do with rhubarb is make a crumble or a pie with a crumble top and serve with whip cream. I chop and freeze rhubarb so that it can be used throughout the year. If there is a large harvest, I will also make wine. Not this year. I'm only getting about 3/4 lb a week. That's not enough. Also Turkish Delight can be made. There are Victorian recipes for rose marmalade or jelly as well. Right now I'ver been harvesting about 4 oz of petals a day (1 quart). I'll do a follow up as I make the mead. First I have to save my pennies to buy honey. The flower petals have been removed, washed, dried, and frozen until I'm ready. 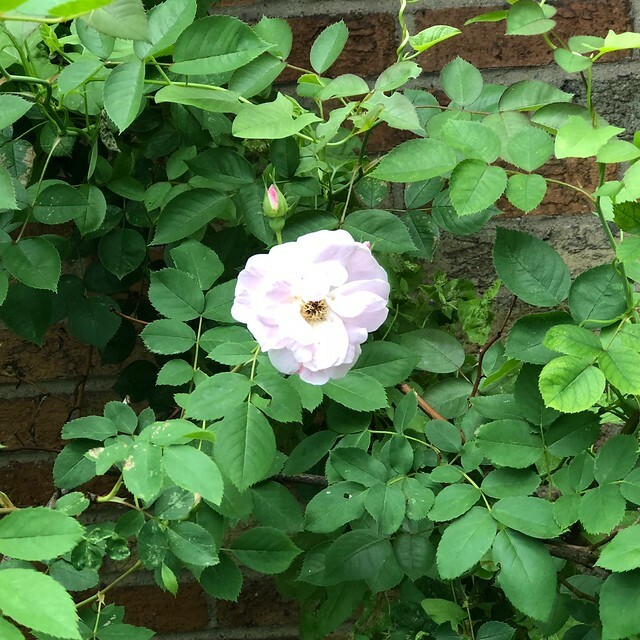 I will also make rosewater as part of the mead. On a side note, rose leaves are good for eco-printing. That should keep me busy until the book I ordered comes in. Homegrown Pantry: A Gardener's Guide to Selecting the Best Varieties & Planting the Perfect Amounts for What You Want to Eat Year-Round by Barbara Pleasant https://www.goodreads.com/book/show/33508802 I figured after checking it out from the library for over a month, I should just invest in it. The recipes look really good. Then there will be mulberries and black raspberries.